How Many Worms Should I Start With? I am totally new to vermiculture. Someone gave me a Worm Factory and I am eager to get started with it. 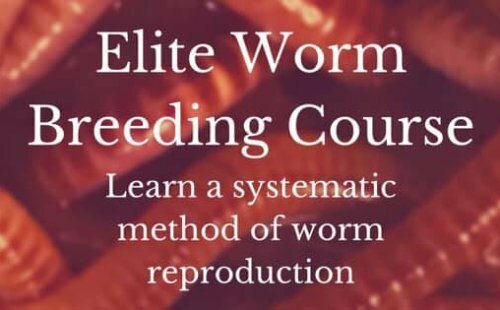 I have been reading up on the process and am ready to order my worms. How many should I start with? I see that I can order anywhere from 200 to 20,000 and I am not sure where to start. Ideas? Comments for How Many Worms Should I Start With? How Many Worms Should You Start With? Since you are new to worm farming I would suggest that you only start with 1-2 lbs of worms. If you start with more than that you risk the chance of killing them if something goes wrong and you'll have to start all over. Starting with just a handful will allow you to grow in knowledge and experience while your worms increase in numbers every 2-3 months. When you can master 1,000 worms then you can master several thousand and taking care of 1,000 vs 10,000 is a bit different. Let me know how your Alaskan worm farming journey goes. FYI...You'll want to compost indoors being that far north. Composting worms will not live outside in a worm factory. Just too cold.